Mercury Jets is an on demand air charter provider specializing in private jet and turboprop charters in Sacramento. Our team is composed of industry leading professionals dedicated to providing our customers with the ultimate air charter experience. We are committed to safety, reliability and white glove customer service. To obtain a charter quote tailored to your specific needs, please fill in the request form or call our agents 24/7 at +1-954-359-0111. Mercury Jets offers private jet charter services to and from Sacramento, CA, USA. Sacramento is California’s state capital, which is located in Central Valley at the confluence of the Sacramento River and the American River. The city was established as a supply town for gold miners, and nowadays it is one of the fastest growing regions in the United States. Sacramento is a home to California State Capitol tours, Gold Rush-era attractions, excellent entertainment, great shopping, fine dining, and outdoor activities. There are numerous parks, gardens, greenways, and tree-lined streets; hence Sacramento is often named as “The City of Trees”. The major places of interest are Sutter’s Fort State Historic Park, the Governor’s Mansion State Historic Park, Old Sacramento, Fairytale Town, the California State Capitol, the Eagle Theatre, the Community Center Theatre, the Sacramento Convention Center Complex, the California Hall of Fame, the Cesar Chavez Park, the Sacramento Zoo, and much more. 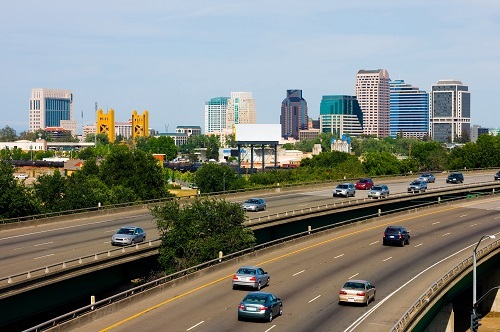 With various recreational activities, the rich history of California’s Wild West, and beautiful landscape, Sacramento is a perfect place for all travelers. Delta King Hotel, 1000 Front Street, Sacramento. Governors Inn Hotel Sacramento Hotel – Newly Remodeled!, 210 Richards Boulevard, Sacramento. Embassy Suites Sacramento Riverfront Promenade, 100 Capitol Mall, Sacramento. Holiday Inn, 300 J Street, Sacramento. Sheraton Grand Sacramento, 1230 J Street, Sacramento. Holiday Inn Express-Conv Center, 728 16th Street, Sacramento.